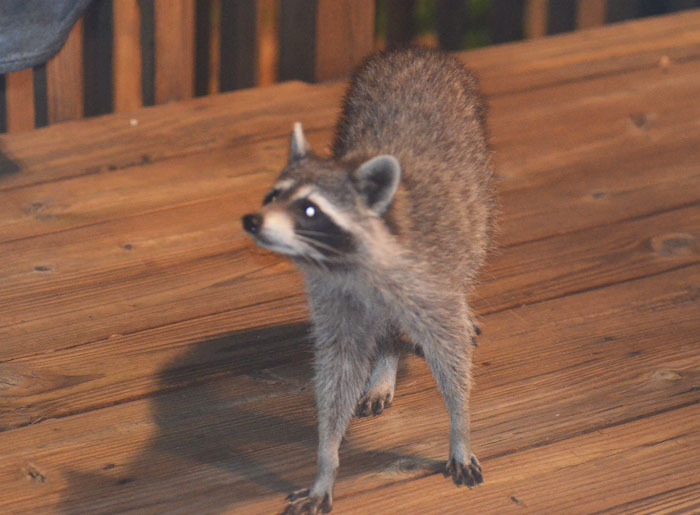 After one of the first barbecues of the year, we noticed this raccoon on our deck. I was amazed that the little guy showed absolutely no fear when we watched him through the windows. To the contrary, the raccoon was quite interested in us (or the possibility of securing food from us). We also watched how it ate a poor, little, innocent frog.